Engineers Can Kill Monsters Now?! Above is the proof that an Engineer can kill monsters?! Hehe.. 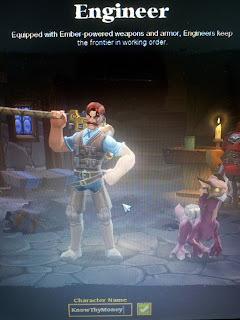 Extract is my game character in Torchlight II aka something like Diablo3 hit and run type of game. I like the cool graphics and scenarios. Plus now, I can select a pet to do my bidding!! Bite that Orc!! Engineer character in this game can be a melee tanker or a ranged cannoneer depending on the tree stats that you choose. I chose the melee tanker route as nothing beats a dull Sunday other than bashing some monster's skull out!! Yeah, really fun game. I took engineer with tank ability to the finish and later another round with canons. Canons rules! P.S Can the pet learn and use spells? Seems he has the MP also. I am hesitant to give him the scroll. Cool, is that available on iPad or android phone? ChampDog, it is a computer game, produced by the earlier developers of Diablo. Hence, there is a diablo feel even the sound of opening the treasure box is the same. I prefer this than Diablo3 which needs server and internet connection to play. 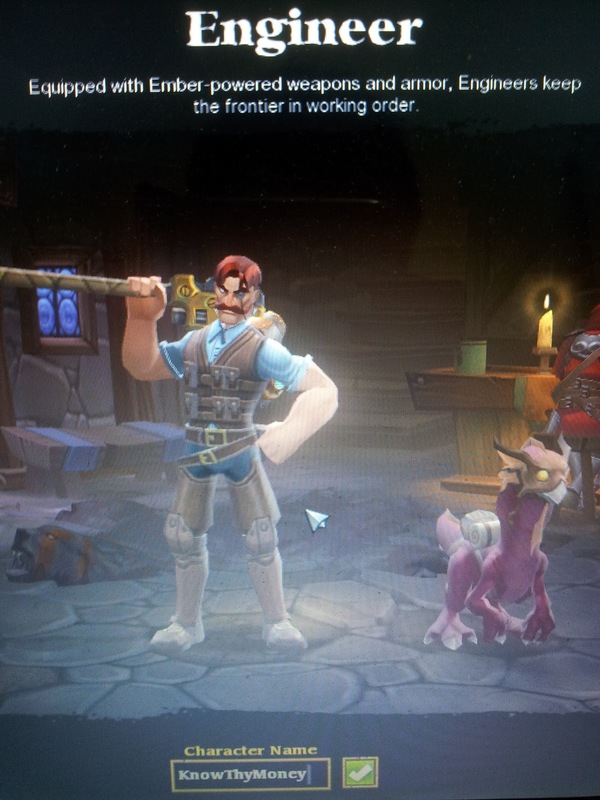 This game is called Torchlight2.